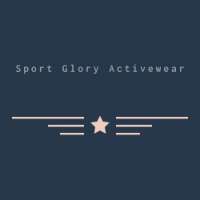 Sport Glory Activewear is the best activewear online store in Australia that offers a wide range of comfortable and fashionable activewear such as Carli Cropped Top, Logo Print Joggers, and many more. Sport Glory Activewear is the best activewear online store in Australia that offers a wide range of comfortable and fashionable activewear such as Carli Cropped Top, Logo Print Joggers, Sara Yoga Top, and many more. At Sport Glory Activewear, we create clothing that inspires you to stay active, whether that means competing in a man or woman, sweating in the studio, or chasing after your kids. Our on-trend designs are high in quality at prices you’ll feel good about. This is where the inspiration starts. Every products in our activeware online store are made for modern living, blending fashion and function for styles you'll want to wear everywhere (and you can). Besides, our fabrics are responsibly sourced from around the world to create the most luxuriously soft, no-hassle care styles that keep up with your toughest workouts and beyond. If you are looking for comfortable, fashionable, and affordable activewear store for yourself or the man in your life, don't hesitate to shop at Sport Glory Activewear for the most trusted Activewear online store. 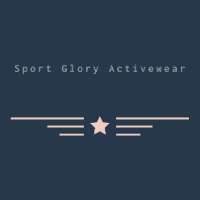 Sport Glory Activewear is the best online activewear shop in Australia that offers a wide range of comfortable and fashionable activewear such as Carli Cropped Top, Logo Print Joggers, and many more.